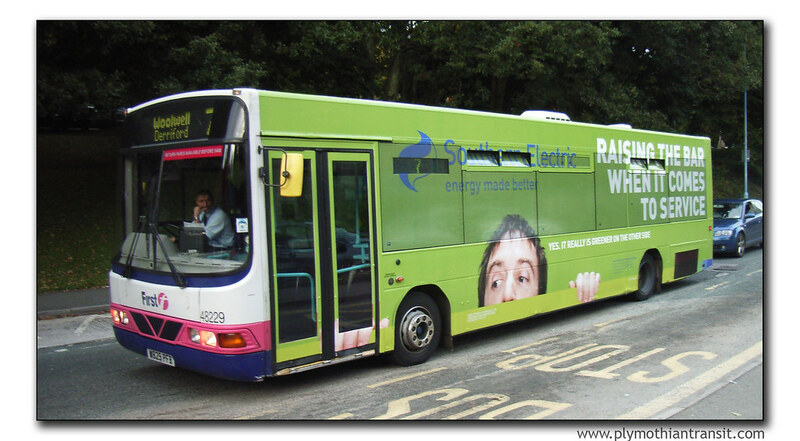 Its not just Citybus who are happy to plaster adverts over the windows of their buses. First D&C have just placed 48229 in this eyecatching scheme seen here at Derriford Hospital yesterday evening. Ridiculous if you are a mere passenger! What could be worse than to travel onboard a vehicle like that? I for one will ensure I do not catch that vehicle or any others like it in the city, even if it does mean walking or giving my custom to another operator. I thought the old rule was passenger safety and comfort. Where's the comfort in that claustraphobic 40 foot moving tunnel? They also have a decker with an identical wrap. Looks awful!